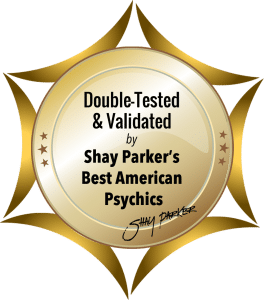 Sophia Elise is a Master Tarot Reader, Love, Relationship and Soulmate Expert, Intuitive Life Coach and Transformational Psychic with over 25 years experience. She has guided thousands from around the world to identify and remove the blockages and obstacles keeping them stuck and preventing them from achieving their full potential in life, love, and career. Sophia Elise can help you see the blockages in your life so you can can blast past what is holding you back from living the life you want to live. Sophia Elise is Clairvoyant (seeing), Clairsentient (feeling), Claircognizant (knowing) and Empathic. She uses her intuition and the Tarot as a tool to higher consciousness which allows her to quickly channel into your energy to provide details and a general timeline for the unfolding of future events. Sophia Elise will always give you the truth concerning your situation even though that may not be what you want to hear. Why wait? Together you will find the best path for your own personal happiness on your journey through life and find the steps to make it so. Sophia will not just tell you what is going to happen, she help you move through it so you can get to the other side. The answers she provides may not be what you want to hear, but rather what you need to hear to put you in the direction necessary for spiritual growth. She will always be truthful with you, and even when the news is not as you had hoped, you can find the light at the end of the tunnel together. Sophia is here to guide you along the path but remember your personal choices can change the ultimate outcome. To REQUEST A CALLBACK or SCHEDULE A CALL using the Click4Advisor Service, please click the button above. If you would like to make an account with Click4Advisor PLEASE CLICK HERE to create an account. All subsequent calls will just require one click calling on CLICK4ADVISOR buttons to connect immediately with Sophia Elise.